This is it! The big day I have been thinking about for months and years. I still can’t really believe this trip is really happening and underway. It’s always been “in a few years..” or “next year..” or “maybe sometime this summer..”. I think it will fully hit me when I get out of familiar territory and leave Alaska. The couple of days prior to starting this trip were a bit crazy. 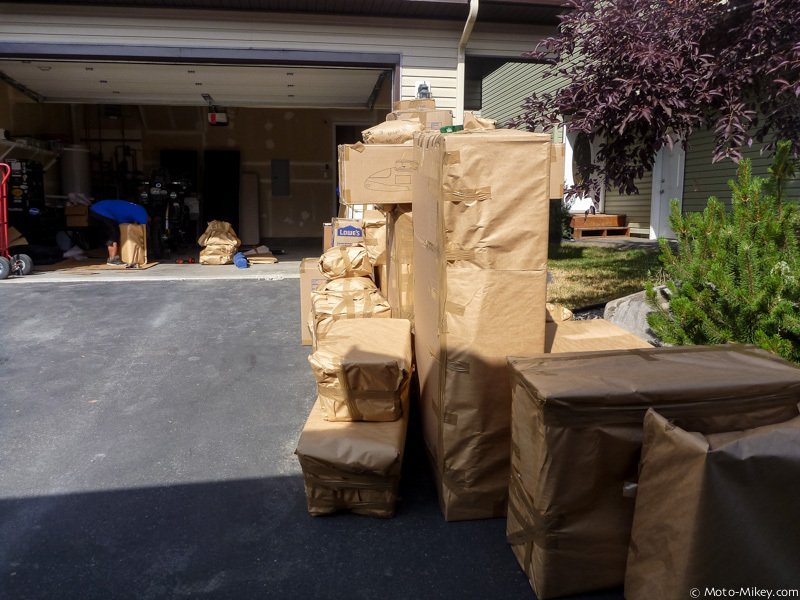 I was busy selling off some of my household goods, selling my car, packing up my remaining possessions and cleaning up my house. All that was left to do was to hand my keys over to my realtor/landlord and I was ready to take-off. My realtor didn’t end up coming till 1500 (3pm), so I got a bit of a later start than I wanted for my first day. 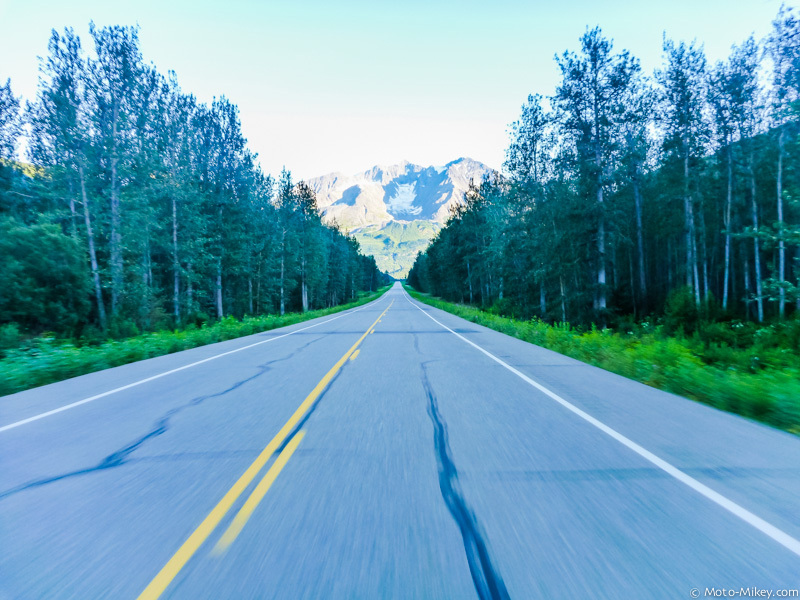 It wasn’t really that big of a deal since I planned on spending my first night in Valdez; about a 280 mile trip from Anchorage. All my stuff getting packed up. I’ll see it sometime next year? 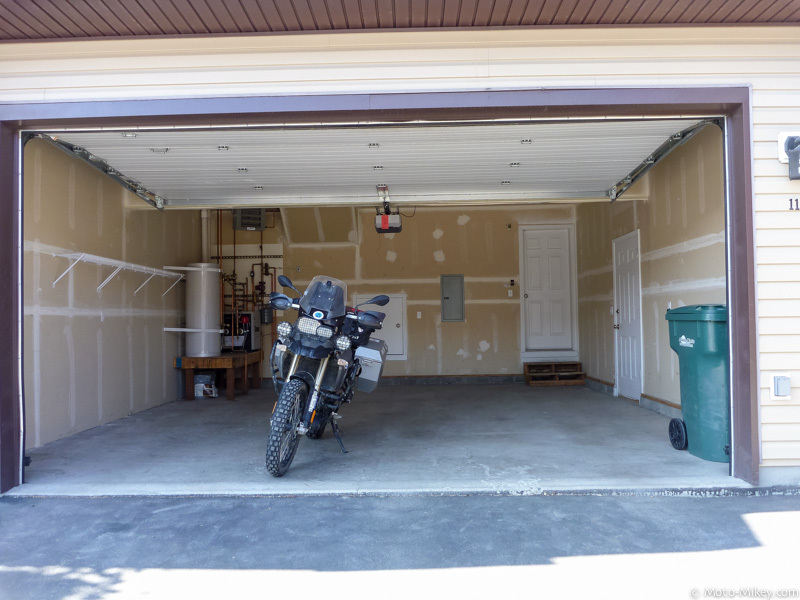 House emptied out and ready to roll out! 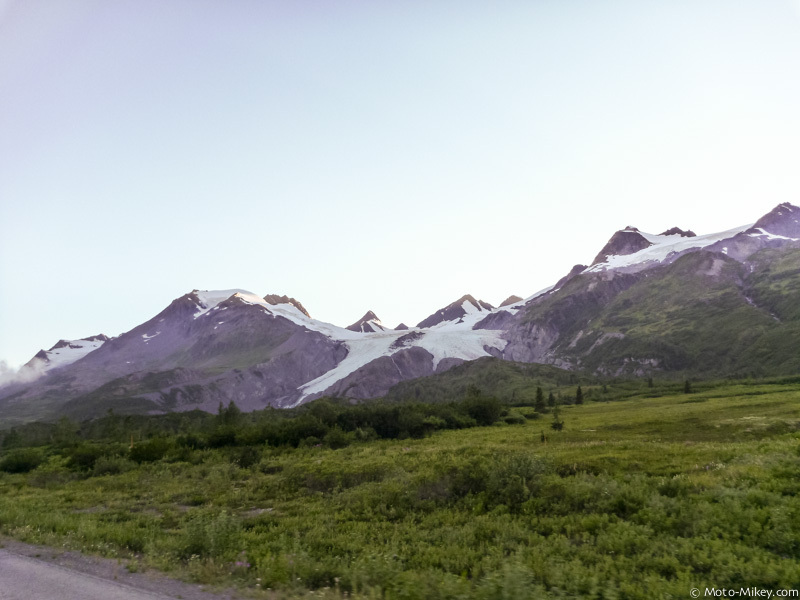 By 1530, I was on the road and heading towards Glennallen to hit the Richardson Highway down towards Valdez. 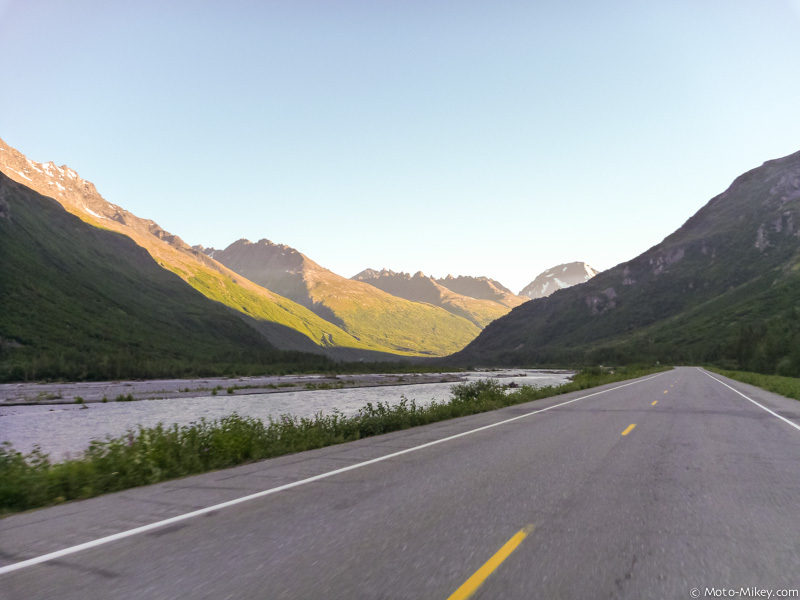 Riding down to Valdez is a detour from the way that I need to go to get out of Alaska but I’ve never been there and everyone says that the road through the mountains is definitely something worth checking out. I figure I should check it out now since I’ll likely never have a chance to do it again.. 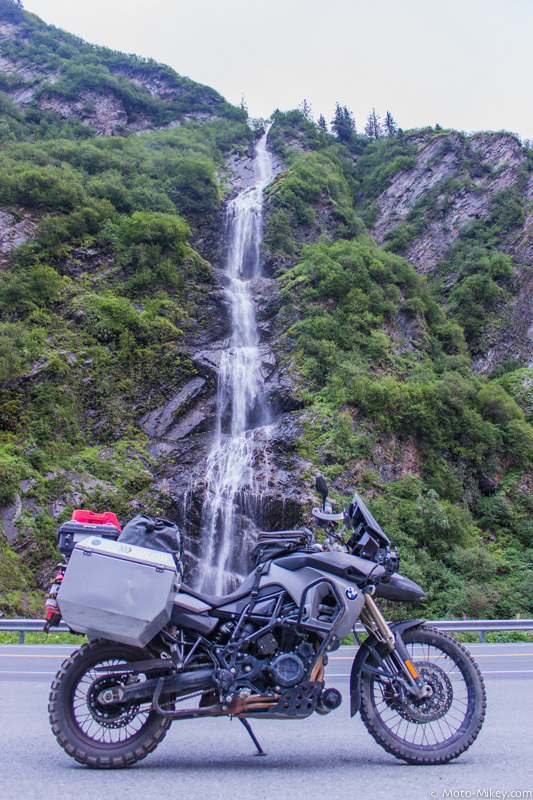 While stopping to take a few photos of the glacier, I met Brenden who works with MotoQuest doing motorcycle tours around Alaska (and the world). 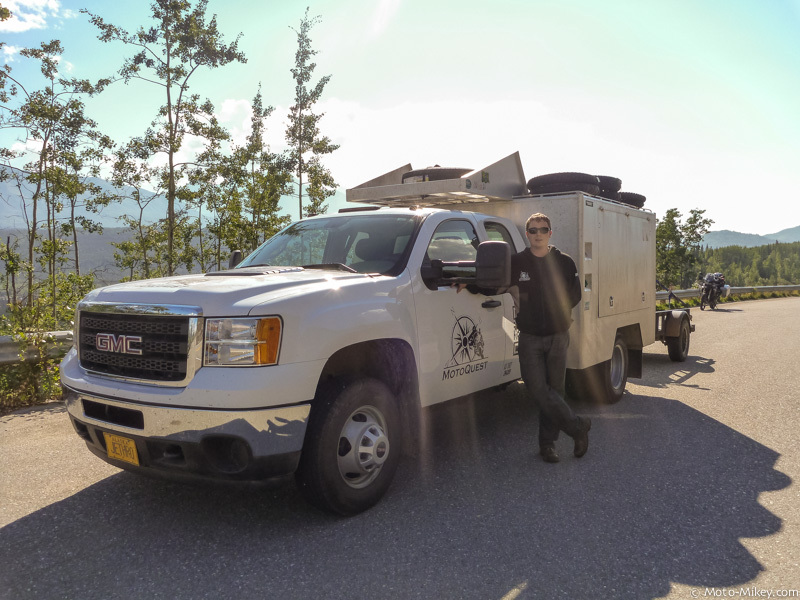 He was driving Jethro, the support truck, and following a group of riders who were doing a loop around Alaska. He had been down to South America a few times on moto tours and was able to give me some advice along with his contact info if I needed any help while down there. Thanks mate! 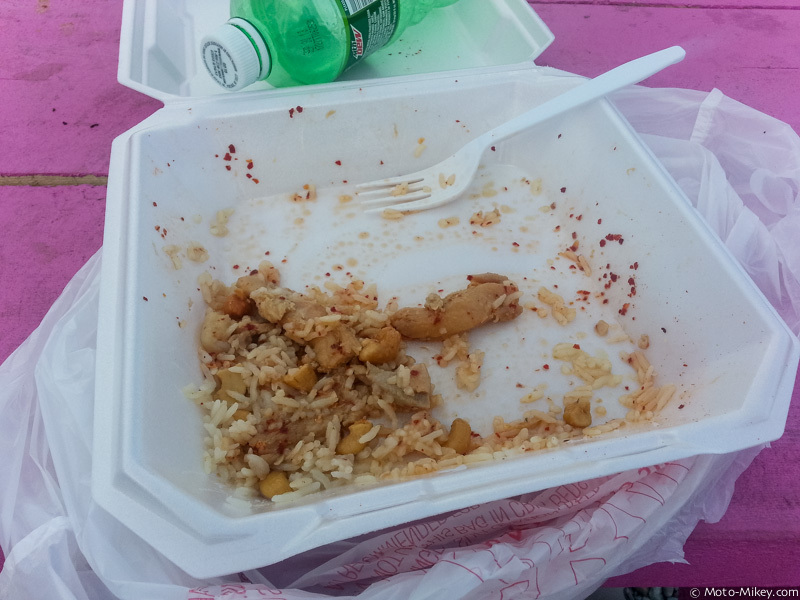 Once I made it to Glennallen, I took a short break to gas up and grab chow. 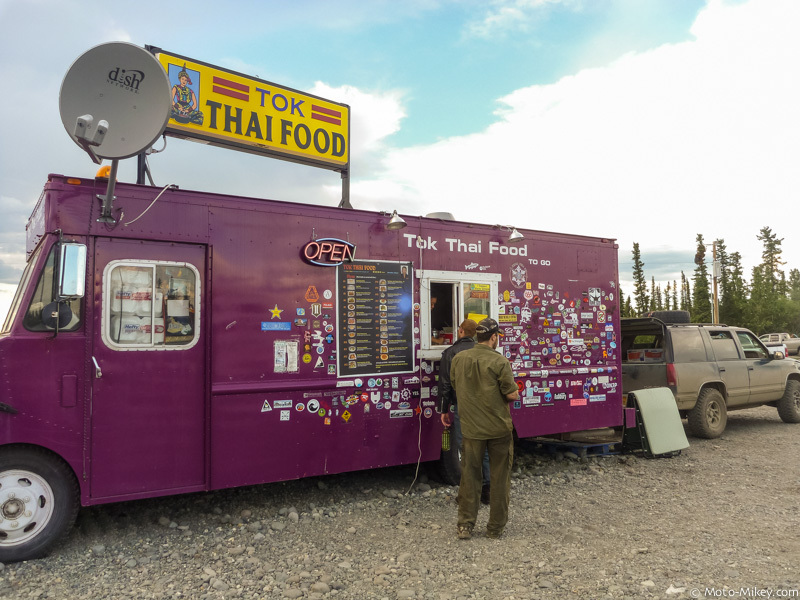 I’d heard about a Thai food truck in Glennallen from other riders and they’ve all said it was excellent. They were right! I’ve had legit Thai food when I spent a few weeks in South East Asia and this place was certainly up to par. Spicy chicken with cashews. nom nom nom! 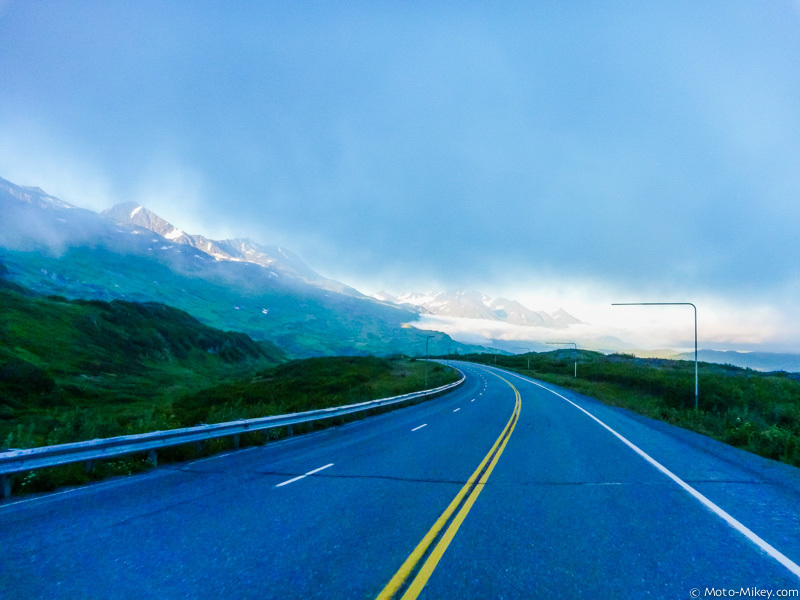 Heading down the Richardson Highway from Glennallen towards Valdez was initially nothing that special.. it was scenic like most of Alaska can be but so far it wasn’t worth the 120 mile detour South. Things start to change about halfway down. Once you get into the mountains things become much more interesting. 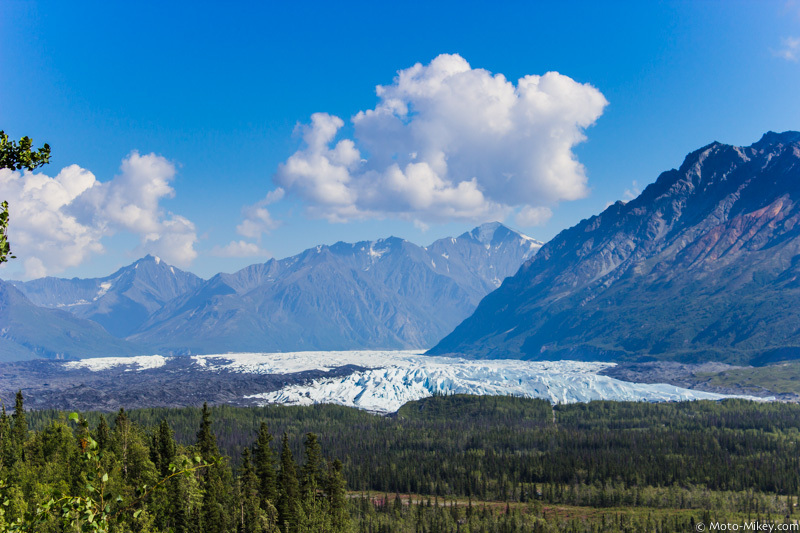 There’s tons of water falls and glaciers.. around every corner is another one! Now this is more like it. 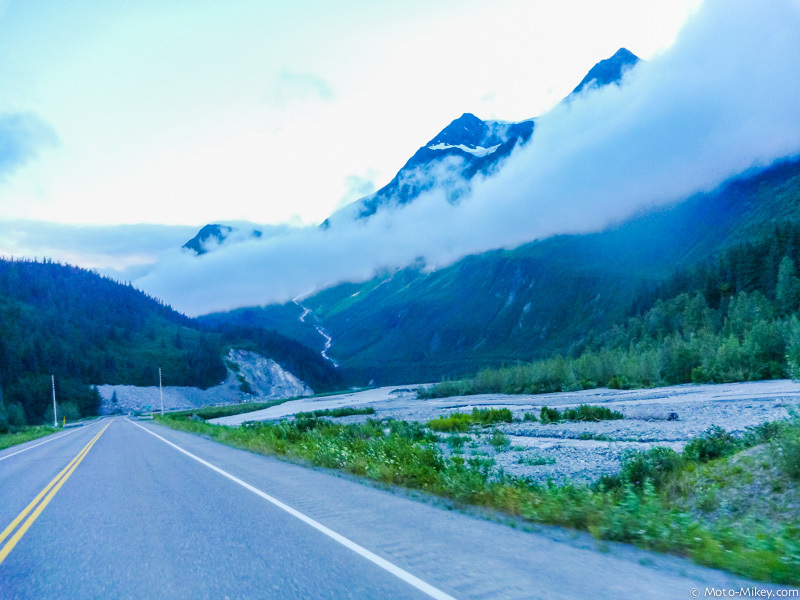 3 Responses to "Day 1: Anchorage to Valdez, AK – 284 Miles"
RoblesGT from XERQ … followin your trip! We enjoy reading about your trip. Stay safe!